Did you know June is National Fresh Fruit and Vegetables Month? Well it is! At the same time we're making an effort to eat more salad and scramble to make our plates a little more colorful with extra servings of veggies this month, thousands of the nation's vegetable growers—like many farmers this year—are struggling with a late planting season and wet soils. Anytime farmers and growers are working in wet fields, soil compaction becomes a concern, because it can have a serious negative impact on yields. Compacted soils can reduce a vegetable root's ability to penetrate the ground, and prevent proper drainage after rains—which may increase the likelihood of disease. 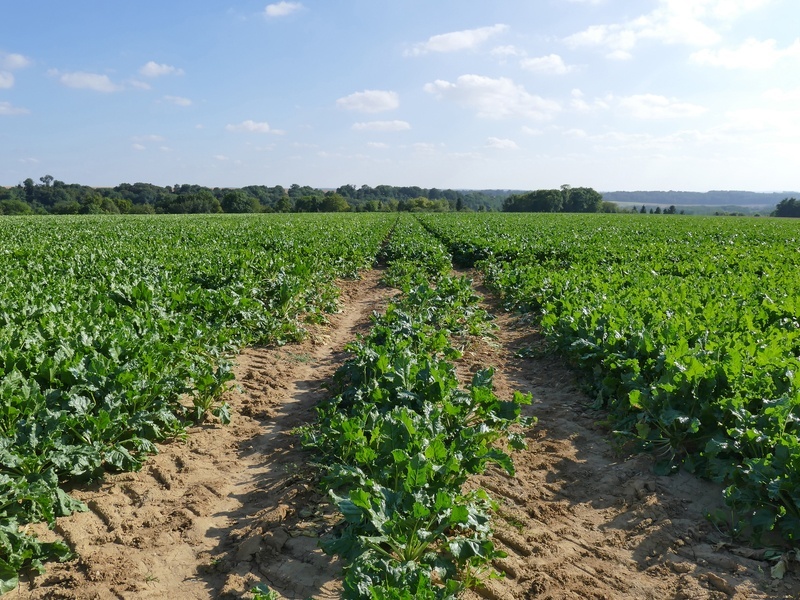 Additionally, soil compaction can reduce healthy microbial activity in the ground, leaving plants undernourished and susceptible to pests and disease, further reducing yields. While the best way to prevent soil compaction is to avoid working in wet soils, sometimes it’s inescapable. During seasons like these, tire choice is even more important than usual, as growers need to rip soil, suppress weeds, and control insects and pathogens no matter the weather. The Alliance AgriFlex 354 IF/VF is a perfect choice for growers using high-horsepower tractors to break up plow pans and rip soil. With their ability to carry the same load as a standard radial tire with up to 40% less air pressure, the Agriflex tires help minimize yield-robbing soil compaction. By putting a longer footprint on the ground, the weight of the machine is spread over a larger area, which reduces the soil disturbance and crop damage. This month, as we all try to clean our plates and eat our fruits and veggies for National Fresh Fruit and Vegetables Month, vegetable farmers are battling wet fields and future yields to ensure vegetables from Asparagus to Zucchini and everything in between make it to our plates. Lucky for them (and us), innovative tires like the Alliance AgriFlex 354 IF/VF can help solve the real-world issues facing farmers and helping farmers deliver their bounty to our plates. Contact your Alliance farm tire dealer to learn more about our IF/VF tires and see if they might be right for your operation.